My name is Marcel Jardinier, 31 years old and Head Instructor at Krav Maga Berlin. Grown up in Berlin-Neukölln, I am a child of the practice and convinced that Krav Maga is the most effective form of self-defense, since she is unfussy, realistic, suitable for everyday use and easy to learn. 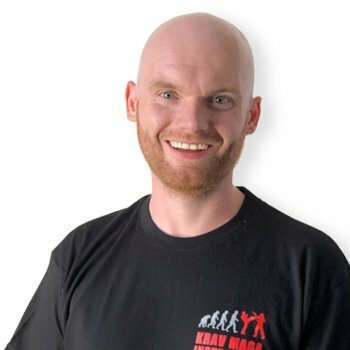 Starting as a student of Jörg Kerschek in Köpenick, I now run several locations in Berlin myself and can now look back on a 13-year Krav Maga experience. During this time I have attended various seminars and advanced training, so I can offer my members a wide repertoire and can respond to the most diverse needs. In addition, in February 2017 I was awarded the Lead Instructor by IKMF Israel. My additional training as a bodyguard opened up a new field of work for me and made it possible for me to expand my field of activity also to foreign countries. B. expand in Iraq. In addition, I led a training series at the Federal Police in the training center Frankfurt Oder. Here, the Krav Maga system was brought closer to the task trainers in order to pass it on to their forces.